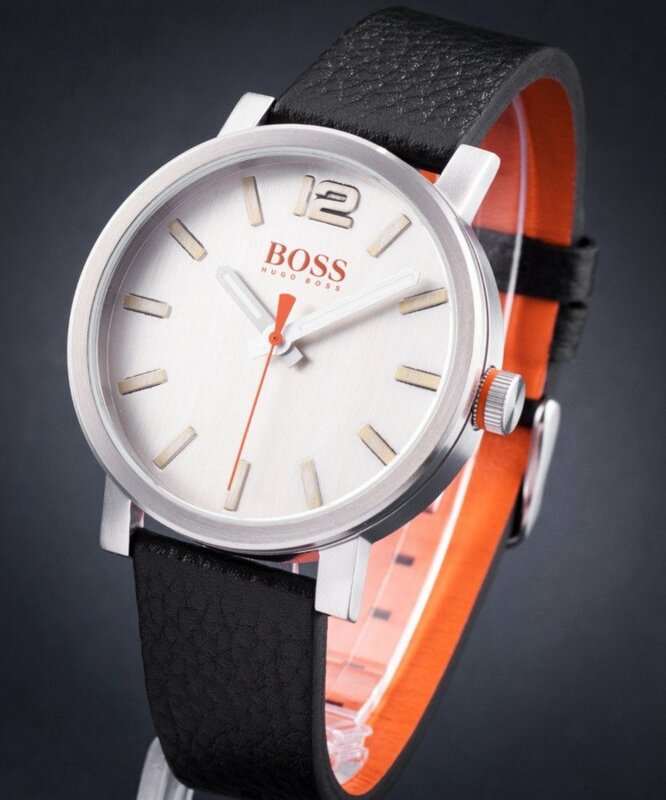 An innovatively crafted timepiece in cool, grey-plated stainless steel by BOSS Orange. This contemporary, sporty wristwatch features a large Arabic '12' numeral, contrast hands, a heavily brushed grey dial, and a minimalist textured-leather strap. Seal off laid-back looks with this distinctive BOSS Orange accessory.